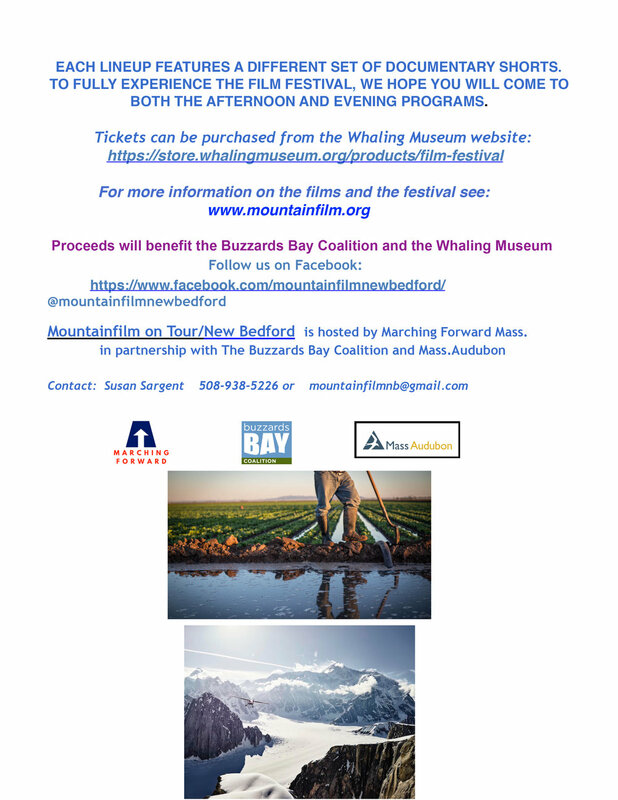 Thanks to the intrepid and hard working Environmental Huddle, the Mountain Film Festival is coming to New Bedford in the Whaling Museum Theater on Saturday, October 28! Tickets are available now from the New Bedford Whaling Museum. Daily Action is one of the great sites/apps that helps us easily make those all important calls. They also have a Book Club, where they provide a venue for discussion about a book on their FaceBook page, and then interview the author and post to their site. This interview with historian Timothy Snyder, emphasizes the importance of citizen involvement in a healthy Democracy. President Trump went back on his word when he ended DACA. On Tuesday, President Trump went back on his word and ended DACA (with help from white supremacist Jeff Sessions), leaving 800,000 immigrant youth with the prospect of imminent deportation to countries they’ve never called home. This shouldn’t surprise any of us-- Trump is the poster boy for talking out of two sides of his mouth. But now it’s all eyes on Capitol Hill: unless Congress acts, Trump’s decision will tear families apart and destroy our nation’s promise to be a land of opportunity for all. “If you only stand up for your own issue, you wait your turn to lose.” On Friday, Indivisible Co-Executive Director Ezra Levin joined United We Dream, U.S. Reps. Gutierrez, Grijalva, and Correa, and others, including DACA recipients, to speak about the need to pass a clean Dream Act now. You can watch his remarks here. Go to standup.indivisibleguide.com and use our state-specific resources and scripts to tell your two senators and representative (Republicans and Democrats!) that you want the Dream Act attached to every must-pass bill in Congress. Not in three months. Not next year. But now. Now is the time for all of our groups to use all of the tools in our toolbox, particularly calls and district visits, to press Congress to protect these youth from the cruelties of this Administration. Plan your visit and make your calls. RSVP for an event to stand up for Dreamers (or plan your own!) in cities and states across the country, where thousands of immigrant youth and allies will take to the streets to stand with and demand the protection of the Deferred Action for Childhood Arrivals program (DACA) and the Temporary Protected Status (TPS) programs. And it’s important to tell Every. Single. Member. Of. Congress. that you want this - because last week, Democrats missed a critical opportunity to protect Dreamers. On Wednesday, Democratic leaders Chuck Schumer (NY) and Nancy Pelosi (CA-12) cut a big deal with Donald Trump to fund the government. Their deal with Trump provides badly-need funding for disaster relief for Hurricane Harvey, and it will temporarily raise the debt ceiling and fund the government for three months. All of these items are must-pass legislation, and all of them were going to require Democratic support - so it was a great opportunity to demand that the Dream Act be included. But the final deal didn’t have anything for Dreamers. Dems gave up their leverage. Democrats are celebrating this deal because it forces Republicans to take a series of politically costly votes twice - in September and December. But the reality is that this deal does nothing to protect the 800,000 youth whose lives have been thrown into jeopardy by Trump’s order. Democrats had leverage, and they gave it up for some quick political points. But don’t just take it from us - see our statement with United We Dream and the National Immigration Law Center right here (we know, we give you a lot to read, but this is an important read for every Indivisibler). If anybody questions this analysis, point out that the groups directly representing the Dreamers under threat are raising these same concerns. We stand indivisible with the Dreamers. Lesson: remember that your Democratic MoCs need to hear from you too. This should be a reminder for all of us that our Democratic Members of Congress often need to be nudged to stand up for progressive values. We have to help them keep doing the right thing by holding them accountable. It happened on Trump’s nominations; it happened on the fight over Gorsuch; and it happened on playing hard ball over TrumpCare. Don’t forget: your MoCs work for you. By all means, build positive, strong relationships with your members of Congress -- but don’t ever forget that they work for you, and you’ve got to keep demanding they stand up for progressive values. At Indivisible, we support Dems when they do that, and we criticize them when they don’t -- that’s what makes us independent. On the IndivisiBlog: “They Risked Everything for a Shot at the American Dream. Now, we Must Stand up and Defend Them.” ICYMI, check out the IndivisiBlogfrom our friend Kamal Essaheb from the National Immigration Law Center. Defend DACA recipients. Tell your members of Congress (MoCs) that you want the Dream Act attached to every must-pass bill in Congress using our new script and state-specific explainer. You can also check out our comprehensive resource on how to stand up for Dreamers and all immigrants-- in partnership with United We Dream and the National Immigration Law Center-- at standup.indivisibleguide.com. Help us spread the word. Oppose H.R. 3697. The House is expected to vote this Tuesday on a bill that criminalizes immigrants, including those fleeing gang violence, and allows more of them to be detained and deported. It also affects vulnerable populations such as asylum seekers, TPS holders, and unaccompanied children. Tell your MoCs to vote no on H.R. 3697, the Criminal Alien Gang Member Removal Act. Oppose the Budget Resolution. Your House member should oppose the budget resolution expected on the House floor in two weeks, and your Senator should oppose any resolution that makes cuts to Medicaid, Medicare, or SNAP, and doesn’t offset tax cuts with new revenue or closing loopholes. Hold them accountable using our new explainer and script. TrumpCare could be back this week… keep it dead. Keep an eye out for the return of TrumpCare by another name: “Graham-Cassidy.” Under Senate rules, Republicans have until September 30 to make TrumpCare happen. Let’s make sure it doesn’t make a comeback -- check out our new explainer. Prevent war with North Korea. Urge your MoC to speak out against Trump’s warmongering with our explainer. Join #NoMuslimBanEver. We’re proud partners of the #NoMuslimBanEver campaign. Head over to their new website at www.nomuslimbanever.com and join the campaign! Help us make Indivisible Regional Institutes a reality. We want to hold gatherings of Indivisibles throughout the country, to give core organizing trainings, improve connections and collaboration among groups, and deepen our sense of shared purpose as part of this movement. Help us fund this initiative -- and help us unlock double the funds from a grant that will match your donation -- so we can bring more people to more Institutes.